Home / video tags / video tags order on youtube / youtube / youtube creator / youtube partner / youtube video tags / Does Video Tags order on Youtube Matter in 2018? The question can be further clarified. Are the keywords at the top of the list to be more interested in search engines or keywords at the bottom of the list, there is no clear answer to the question by YouTube. 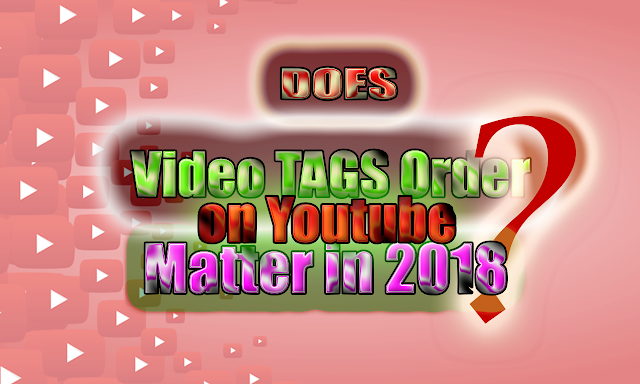 However, if we looked closely at the Creator Academy, we found that there is a lesson about evaluating the discovery if the meta tag part affects the video rating or not, how keywords are ranked below the video and how they relate to the video content, as we need to put more keywords Specifically.